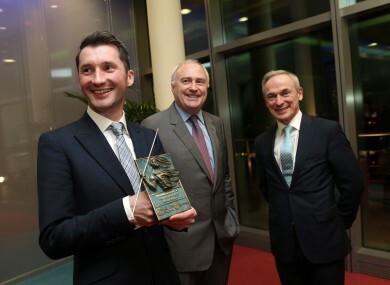 IRISH START-UP company Propertygate has won the 2014 PwC/Docklands Innovation Award for best investment proposal. The management software works as a portal that allows financiers, property managers, property owners and tenants to talk to each other and collaborate on projects. The winner took home a €10,000 cash prize. Propertygate, which is headquartered in Dublin, beat off competition from two other finalists in a pitch and Q&A session with a panel of judges. All the finalists were participants in the Dublin Institute of technology Hothouse New Frontiers Programme. The other finalists were Puralight, a technology for combating Hospital Acquired Infections using Germocidal ultra violet wavelengths to sanitise the air in a hospital, and SimplyConnected, a start up company whose technology allows remote monitoring of devices. Minister for Jobs, Enterprise and Innovation Richard Bruton said the awards were “a very positive initiative aimed at supporting innovative business in the city centre”. The awards, now in its twelfth year, shine a light on companies coming out of the Docklands Innovation Park, which has supported over 300 entrepreneurs, created over 1,300 jobs and attracted over €115m in external investment. Email “Property company lands innovation gong”. Feedback on “Property company lands innovation gong”.